A closed roof can give great shelter from both sun and rain. You will be encouraged to use your garden more frequently and enjoy the relaxation that it brings. 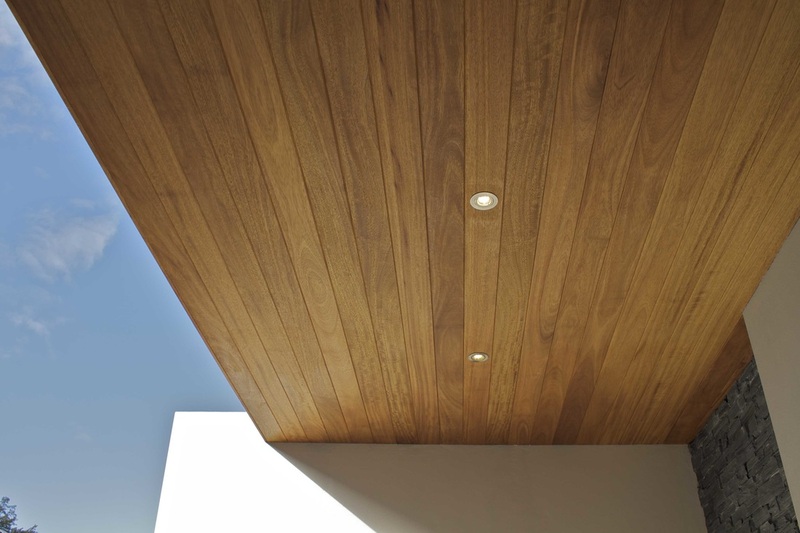 The style of the roof will have to be incorporated into your garden design which should be tailored to match your home. As in any room furniture will play a key role so take a look at the outdoor seating section of our website for some good ideas there. Lighting will bring these areas alive at night and your garden will take on a completely different look. Down lighters from the roof area great effect and work really well if you have a kitchen installed. 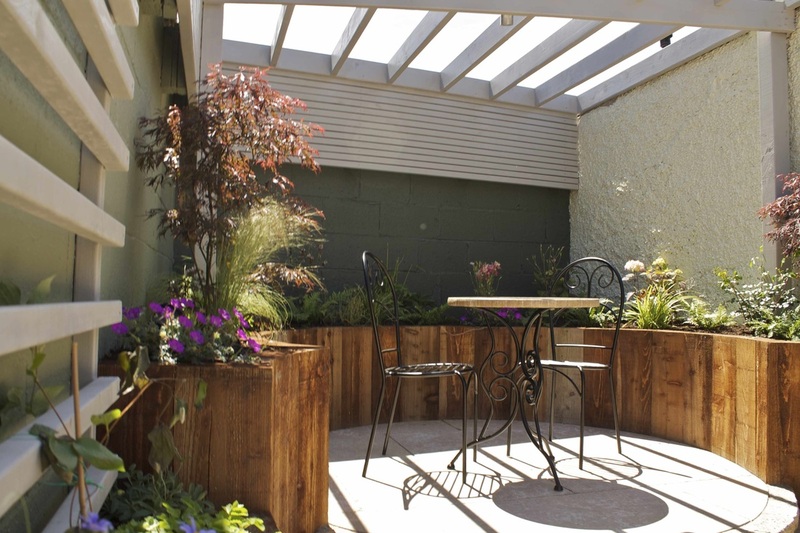 Pergolas or open roof structures can give dapple shade and can be used for rambling or climbing plants. 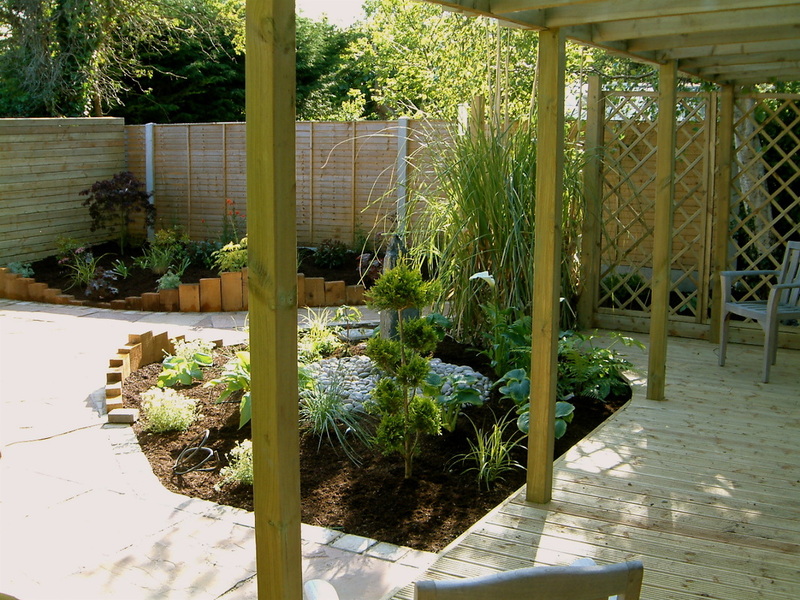 Contemporary or traditional styles will fit in nicely with most garden designs. 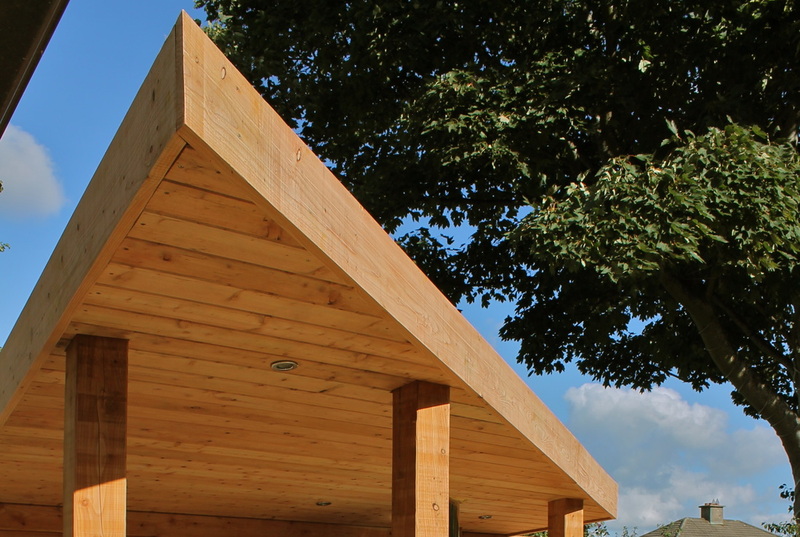 They give good structure to a design whether they are over a seating area or used to frame a walkway through a garden. In the picture to the above right this newly fitted grey pergola is planted with rambling roses of white and deep pink. This will be a really nice place to sit under the shade surrounded by a mass of colour and also a great visual effect from the house.